Today we celebrate International Coffee Day. It’s not just an annual event for the celebration and enjoyment of coffee, in fact it is actually a day used to raise awareness for the plight of coffee growers to promote fair trade coffee. So don’t feel guilty gulping down an extra cup of Joe today. It’s a day to indulge, and so of course I wanted to take this time to share with you a hidden jewel that I so dearly miss. Caffé Amouri a locally owned coffee shop and is nestled in the heart of Vienna, Virginia. It’s off Maple Avenue on Church Street. This café is a real gem in the community and is a wonderful place to enjoy lattes, coffee or just a simple hot chocolate. When I used to live in Virginia, Caffé Amouri would be my weekly splurge. A place that my husband and I would look forward to every Saturday. When we would sink our faces into our cups of freshly roasted coffee it truly felt like it was the highlight of our weekend. It was just that good! I remember the first time I went to Caffé Amouri. First of all I got lost, I couldn’t find this place, the sign was blank and just said coffee shop. It wasn’t until I had to pull over to check my phone and see where exactly it was on the map. Then I looked up and saw that I was right in front of the coffee shop! It is definitely hidden and I had no idea this place existed considering how often I would be in the area having lunch with my friends. As I walked in, I saw bags and bags of unroasted coffee beans and a stairwell down to what I’m assuming was a basement full of more coffee? My heart melted. Ever since then I was hooked. This place spoke to me in ways I couldn’t even imagine! I was in coffee HEAVEN! 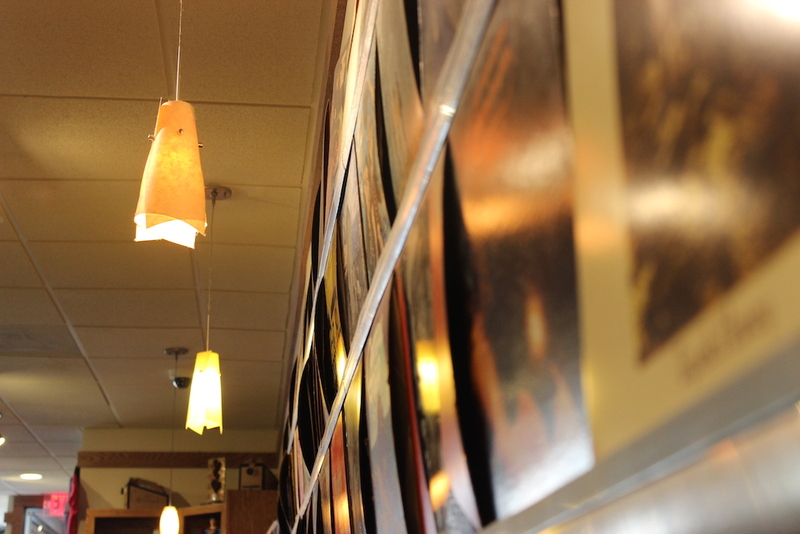 This is the coffee shop that I compare many to. Caffé Amouri is the REASON why I have really high standards. So high, in fact, when I was in Seattle I found the coffee shops to be mediocre. Caffé Amouri was my favorite café for coffee because it was evident that the people they hire care about the coffee. It is what stood out to me the most. 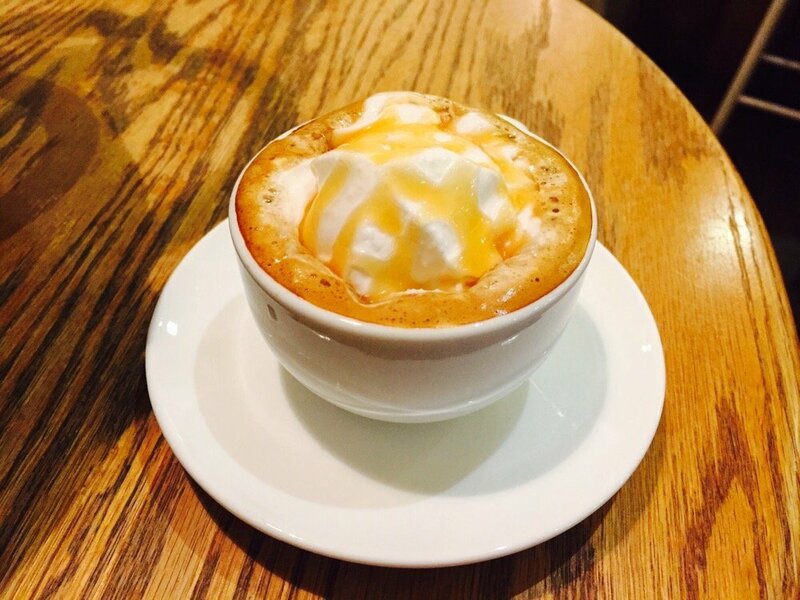 If you tell them what you are craving, the baristas would be more than willing to offer suggestions. 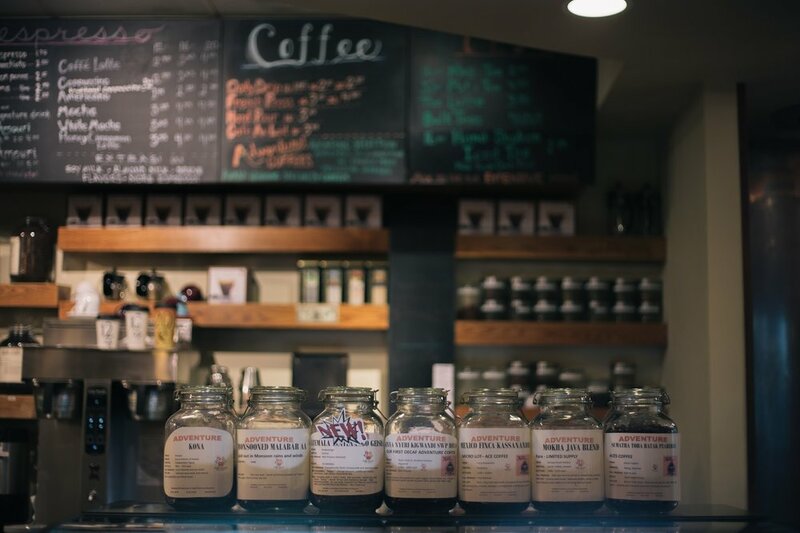 Caffé Amouri has a variety of coffee beans from Kona to Peruvian to Papua New Guinea, so it’s easy to get lost and have no idea what you want. The coffee selection is impressive and honestly if you cannot find a favorite then you probably don’t like coffee. They roast their beans on site every day so you can only imagine how fresh their coffee is (ahemm Starbucks). The beans that I always gravitated to were the Peruvian beans. I prefer the hand pour as opposed to the French press. The hand pour is so clean, so round and fruity, that you can fully taste all those complex layers of flavor that are supposed to be lurking in the best single-origin and micro-lot beans. It truly is heavenly. Either method is excellent; the baristas will grind your coffee beans and brew your coffee once you order. Be warned though, it typically takes about 5 minutes to get your coffee, but the end result? WORTH IT. So, if you are ever in the DC metro area, try this place out. You will not be disappointed! No Matter how your day goes today, don’t forget to grab a cup of coffee from Caffé Amouri and enjoy every sip of it. Raise your cup of coffee and let’s celebrate. 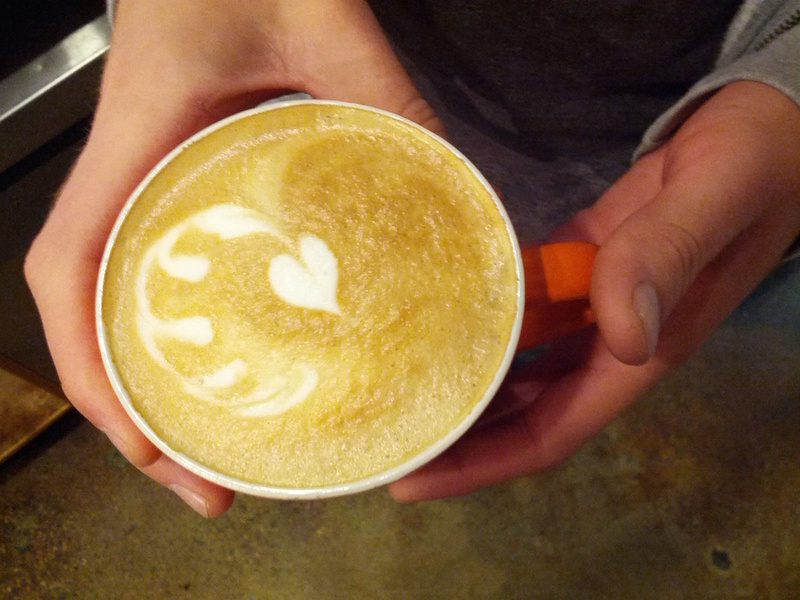 Have a happy International Coffee Day! What a great read! I could actually smell the coffee while I read this! Now I’ll have to hunt up the shop and the internet and encourage relatives in VA to check it out! The coffee is wonderful! 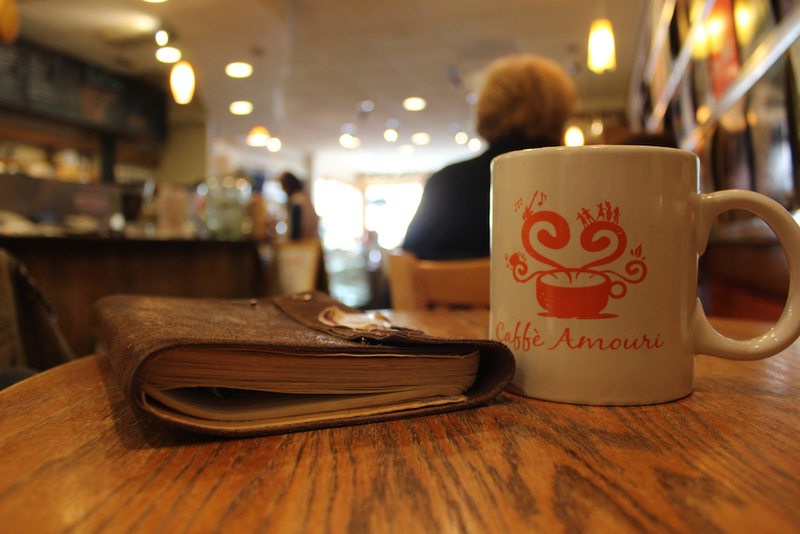 If I were to visit DC again, I will definitely make the trip out to Vienna for Caffe Amouri! Let me know what you and your relatives think when you try it out! I love drinking my coffee black, but also enjoy a really good latte. Isn’t it great when you stumble upon that little, local coffee shop that serves the best coffee ever? 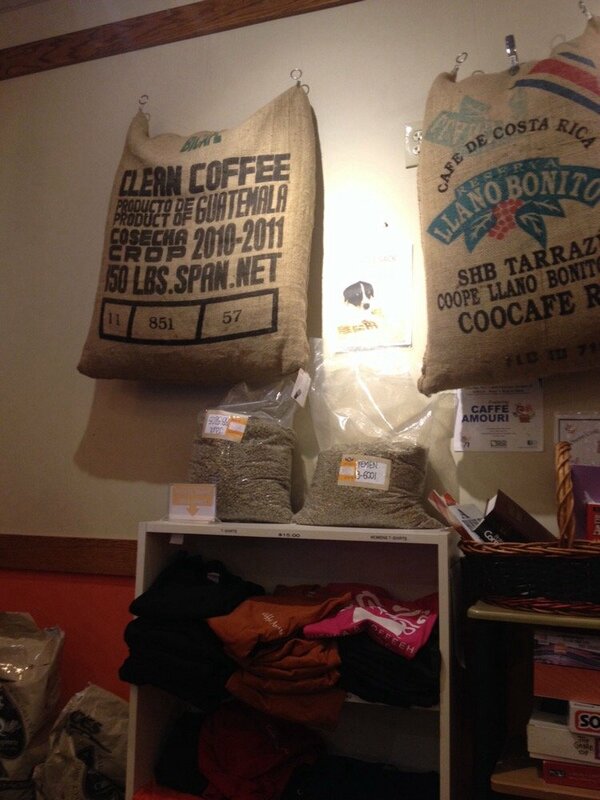 One of my favorite coffee shops used to roast beans on-site; I happened to walk in one day while the owner was doing it. 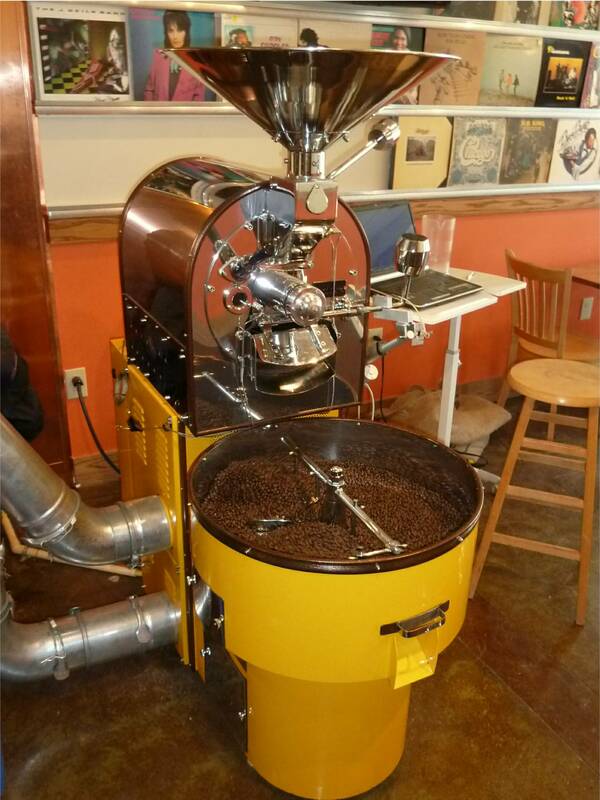 The aroma that permeated the shop was toasty and nutty and all kinds of wonderful! 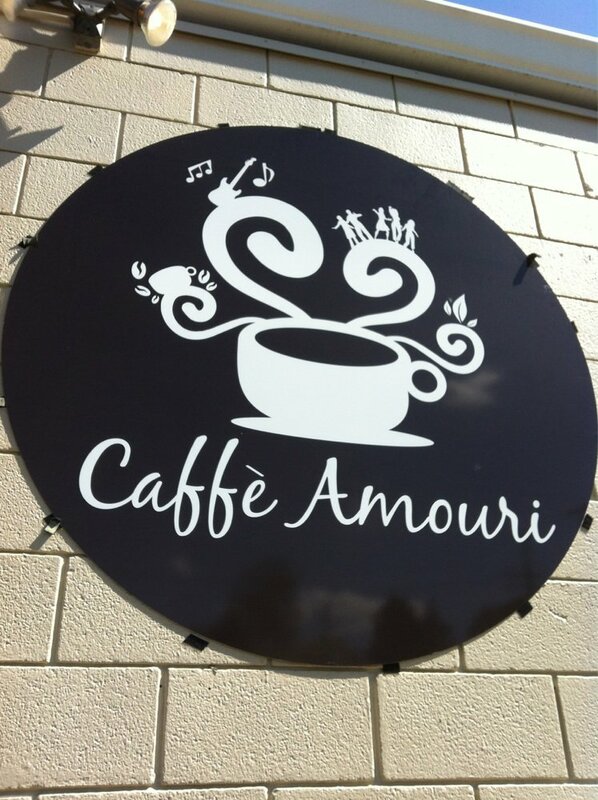 Thanks for introducing me to Caffe Amouri—I hope I’ll get to drop in some day. You’re welcome, let me know how you like it! Thanks for stopping by my blog…I am an avid coffee drinker (since the age of 12) and love, love, love this post. While I was reading I was drinking a cup of coffee, and it made me crave a cup of coffee (from my French Press). I will have to check out their website, thanks!